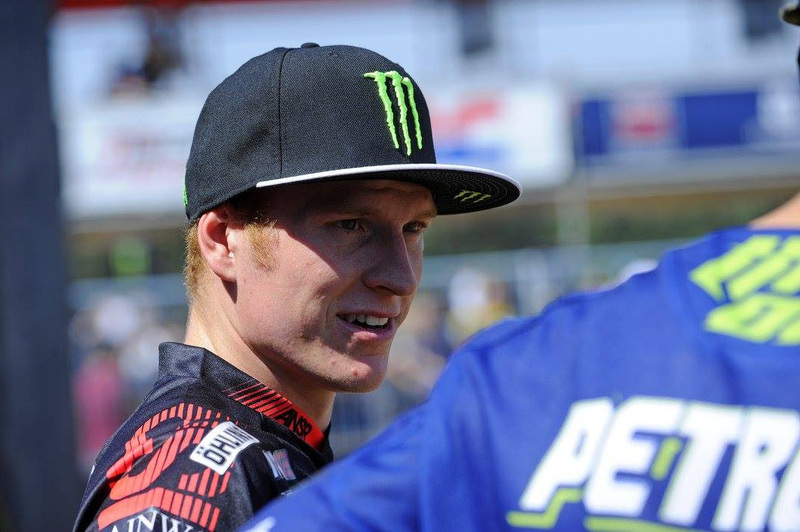 The Grand Prix of Lombardia was a day of doubles for Max Anstie and Monster Energy DRT Kawasaki. The 22 year old rode to his second Grand Prix success in a row and a consecutive 1-1 clean sweep of the motos. ‘99’ racked-up the stats across the shallow Italian sand at Mantova and has now taken a chequered flag in eight from the last twelve motos, at least one moto win in six of the last seven Grands Prix and has only been beaten once in the last three rounds (when he crashed while leading in the Czech Republic). Anstie’s title-winning form means that he is now third in the FIM MX2 Motocross World Championship and 38 points from the red plate. On Saturday Max engaged in a close scrap with Valentin Guillod and emerged victorious from the battle to claim his fourth Pole Position on the bounce for the motos on Sunday. In the first outing he had to catch and pass championship pace-setter Pauls Jonass after an early race crash but once into the lead was then unchallenged to the finish line. He made easier work of the second moto by getting in front on the first lap and running away to another success and confirming the team’s best spell of glory and results this century. With 150 points remaining to be bagged this season then Anstie is still in with a fair chance of making a late rally for the MX2 crown. Jonass and Tim Gajser also finished on the podium in Italy and ‘99’ now has to look at outgunning his two principal rivals in Holland, Mexico and the USA. Monster Energy DRT Kawasaki move north this week and will enter the gates of one of the most iconic road racing facilities in the world – Assen – as the facility prepares to make its debut as a host of the FIM MXGP series for what will be round sixteen of eighteen next weekend.